It is a privilege and honour to be part of The Blue Thread family and to experience the tangible vibe in our school as the Parel Vallei brand grows from strength to strength – a brand which is indeed becoming a formidable one and the envy of many! One of the remarkable aspects of our school is the number of diverse opportunities available on all fronts –Service, Culture, Academics, Sport & Spirit. There really is a place for every learner to be involved. However, It would be impossible for these opportunities to be presented without exceptional teachers (Parel Vallei’s core of excellence), who continue to raise the bar in everything they do and in everything they expect from their classes. The learners are the reason and motivation for the cogs of this big PV machine to keep on turning, continuously producing opportunities of excellence which, if taken, produce skills, memories and confidence which money can’t buy! Another great asset of PV is our involved and passionate parent body. Your support and commitment (from the tough, sacrificial job of just being a parent to providing for and encouraging your child to be the best they can be), enables Parel Vallei to give the best back to your children. We salute you! ‘Excellence in a changing world’… Excellence is earned in the moment to moment decisions that appear insignificant, but over time the compounded (or exponential) effect becomes profound. This truth encourages us to continue making those small, smart choices on a daily basis which one day will equip us to contribute to and positively influence the changing and challenging world in which we live. As we look back, we are also mindful that we are all beneficiaries of the wise, smart choices and actions of men and women who, over the years, have slowly but surely been building our school of excellence. To our previous Parel Vallei headmasters, management teams, teachers and governing body members: we are where we are today because of you. Thank you! 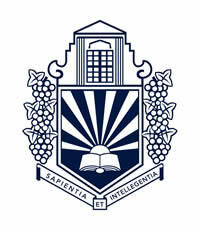 As the current governing body, we will continue to nurture and build on this environment of excellence – always doing so with the best interests of Parel Vallei and all her learners in mind. For me, it is an absolute privilege to work with such a professional and dedicated team and to be afforded the opportunity to serve one of the best schools in South Africa. Congratulations to our newly elected leadership body! May you utilise your wisdom and insights to guide our parents, teachers and students in an exemplary fashion during ever-changing times. Know that you are supported by all of us and that we are proud of you for tacking this new role with integrity. Back row: Ms M. du Preez (teacher), Mr B. van Rensburg (chair), Mr Johan van der Spuy, mnr Richard Tough (vice chair), Ms M Boshoff (secretary), Mr W Steenkamp (teacher). 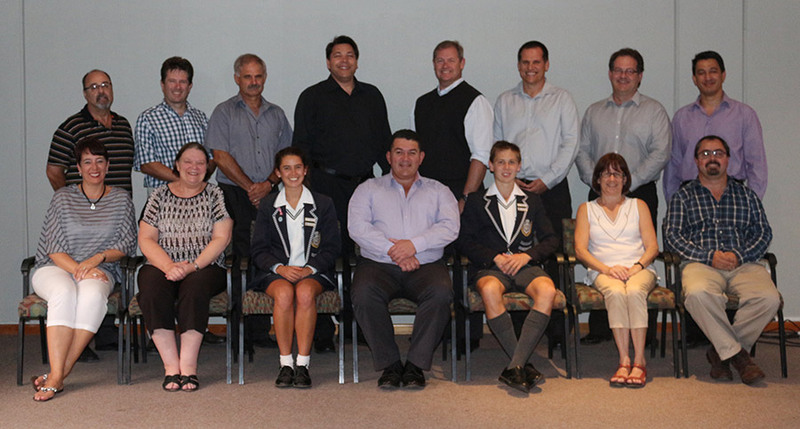 Front row: Mr M. Botha (treasurer), Ms Deidre Hindley, Mr D.Schenck (head), Sophia Warner, Mr K. van Wyk. The school's two head prefects, Lucia Niland en Kai Moolman also form part of the new leadership body. Back: Mnr M Botha (treasurer), mnr W Steenkamp (educator), mnr K van Wyk, mnr A Buÿs, mnr S Helders, mnr H du Toit, mnr A Muller (deputy-principal). Middle: Me M du Preez (educator), me M Boshoff (co-opted secretary), me Y Gerber (non-educator). Front: Mnr D Schenck (headmaster), E Gouws (head boy), dr I Malherbe (chairman), C. Werrheim (head girl), mnr B van Rensburg (vice-chairman). Back: Mr W. Steenkamp (educator), Mr B. van Rensburg (vice-chairman), Mr A. Muller (deputy-principal), Mr A. Buÿs, Dr I. Malherbe (chairman), Mr K. van Wyk, Mr H. du Toit, Mr S. Helders. Front: Mrs M. Boshoff (co-opted secretary), Mrs Y. Gerber (non-educator), Miss A. Ward (head girl), Mr D. Schenck (headmaster), Mr J. Gericke (head boy), Mrs M. du Preez (educator), Mr M. Botha (treasurer).